One of the largest home sale killers is the home inspection. Nearly one-third of all terminated real estate contracts fell apart because of the inspection results. Inspections also ranked as the number three cause of delayed settlements, accounting for 13 percent. 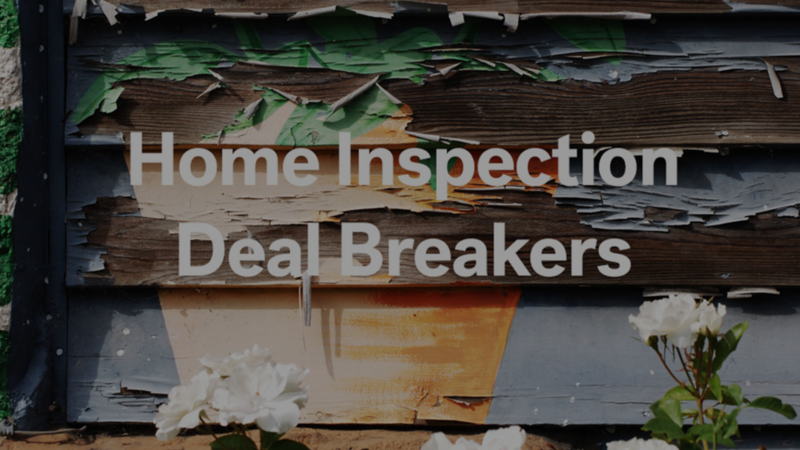 For some reason – and I’ll never get it – a home inspection that comes back with anything less than a perfect report strikes fear into the hearts of buyer agents and home buyers alike. It really makes no sense that it should be that way at all because other than the location of the house, everything can either be fixed, upgraded and/or replaced. The reality of this is that buying a home is an emotional process and sometimes emotional reactions don’t make logical sense. The key here is to remove the opportunity for the buyer to have any negative emotional reactions about your house! As a seller, you need to realize that any money a buyer saves as a result of a home inspection is either money you spend or an end result with your home not selling. Neither of these are positive outcomes for you. The good news is, however, that if you have a pre-listing home inspection, you can be the one who saves the money and even helps keep your deal together. The seven to 14 days after a home inspection can the most harrowing period of time in your life. Waiting for the buyer and/or their agent to come back with the list of things that they’re wanting to be done or the email stating that they want to walk away and get their deposit back can take years off your life. You have no control over the inspector and what they find. You have even less control over the agent and their experience in home sales and negotiations. And worst of all, you have absolutely no control over the buyers and what their emotions are leading them to do. It’s not unlike going to Vegas and plunking your entire life savings down on black or red, hoping that the ball stops on the color you chose. By getting a pre-listing inspection, you get to see all of the issues that would arise and deal with them, head on, before anyone else finds them. It’s like having the answers to the test before you take it. You’re virtually guaranteed to pass. Once you get a complete list of material and hidden defects, you now have the option of addressing what you want the way you want to. What’s even better is that you can repair anything you want yourself or at your option, you can choose the contractor(s) you want and have them take care of the issues that you decide need attention. You’re in control of the whole process and the only surprises you’ll likely experience are the prices you’ll have to pay for the work that needs to be done (which will likely be less than what it would cost if the buyer finds it). Once the buyer uncovers defects and issues that need to be attended to, the sticker price on the work that needs to be done goes way up. Not only is the buyer going to find a top-notch contractor with a “top-notch” price, they’re also going to need to pull permits where necessary when the homeowner is not doing the work. Plus, it could take more time for the work to get done if it needs to be handled before closing, which means more mortgage, tax and insurance money out of your pocket. If you find things that need attention with a pre-listing inspection and take care of it yourself, you’ll save as much as 7 to 1 on any work that you need done. That’s a monstrous money savings that’s well worth the pre-listing inspection for sure. Even though the home inspection is meant to uncover and deal with what the real estate community calls a “latent defect”, many agents and homeowners use it as a means of objecting to the original agreement and seeking to negotiate on further price reductions on what’s already been seen and what has just been uncovered by the home inspection. However, if you have a pre-listing inspection, fix everything that comes up and then present the facts that those two things have already happened when buyers and their agents first see the property, you take all the power away for them to object and negotiate down the road. All of the issues have been addressed and/or handled, leaving them no wiggle room to squeeze you for more money. Now, the buyer and their agent can certainly have their own inspection (and they might come up with something small) but they won’t be able to come up with anything that should create a huge problem for you down the road. At the end of the day, the more you find out about your home before the buyer does, the easier it is for you to deal with those things before the buyer makes them an issue. The peace of mind that a pre-inspection gives you is priceless. In addition to that, without a negative home inspection to “gum” up the works, you can have a much smoother real estate sales transaction from beginning to end. There’s less that can surprise you and there’s a lot less of a chance that you’ll have to come up with a huge chunk of change to make sure you get your home sold. The pre-inspection will cost you some money, but it’s not a lot of money and certainly, it’s a small investment in relationship to 1) the amount it would cost to fix things once the buyer finds out about them and 2) the huge amount of pain and anguish you would experience if the buyer’s home inspection blew up your sale. The next time you sell your home, make sure you get a pre-listing inspection done on your home long before a buyer walks through the front door of your home to look at it. You, and your bank account, will be glad you did.